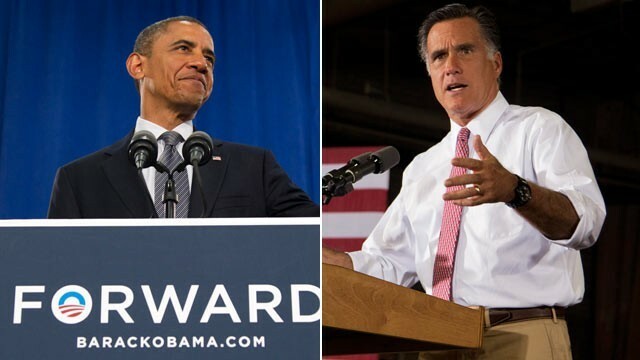 In the sharpened rhetoric between president Obama and Mitt Romney will speak at the NAACP convention a little later today over the state of the economy. The NAACP is the nation’s oldest civil rights organization. Romney can expect to face a skeptical audience here, Four years ago then candidate Obama won 95% of the African-American vote but Romney is hoping this community will take a listen to his policies today. Meanwhile the president and Romney have been going back and forth exchanging fire over everything from taxes to who is most to blame for shipping jobs overseas. “We tried it their way through multiple last decades, and it didn’t work” President Obama said. “This old style liberalism of bigger and bigger government and bigger and bigger taxes has got to end and we will end it in November.” Mitt Romney said. Mitt Romney campaigning in the battleground state of Colorado, new polls show the race is dead even. Romney chose Colorado where the unemployment rate is 9% to dismiss the president’s call to let the bush era tax rates expire, for Americans making more than $250,000 dollars a year. “So at the very time the American people are seeing fewer jobs created than we need, the president announces he’s going to make it harder for jobs to be created.” Romney continued. The President chose Iowa where the unemployment rate is well below the national average at 5.1% to defend his proposal. “To give me another tax break, or to give Warren Buffett another tax break, or to give Mitt Romney another tax break, that would cost – that would cost about a trillion dollars.” President Obama continued. And President Obama continued to raise questions about Romney’s business record at Bain capital. But for the first time Tuesday Romney pushed back calling Mr. Obama’s claims false and tried to shift attention to the President’s record. “This president has been outsourcing a good deal of American jobs himself. If it’s an outsourcer in chief, it’s president of the united states, not the guy who is running to replace him.” said Romney. Meanwhile the President’s half brother, George Obama, who lives in a poor neighborhood in Kenya makes a film debut and soon to be released documentary by a harsh critic of the president, tries unsuccessfully to get George Obama to talk critically about his famous half brother. “The theme of the articles was that Obama had not done anything to help you” he asked George Obama. “I think he has a family of his own, He’s supposed to help his family, I’m of an age to help myself. He’s got other issues to deal with.” George Obama said. “Taking care of the world but you shouldn’t start at home.” said the interviewer. “Yeah he’s taking care of the world, so he’s taking care of me. I’m part of the world” George continued. Back to Mitt Romney now, there’s heavy speculation he would announce a running mate as early as this month, well in advance of the republican national convention. The thinking being he would use that running mate to help raise money now to compete with president Obama in the general election. But yesterday he was asked that very question on the trail in Colorado and he couldn’t have been any more vague saying he will make that decision down the road.